We study immune responses in the airways, especially those to respiratory viral infections such as respiratory syncytial virus (RSV) and influenza virus. Our overall goal is to understand the tightly controlled sequence of events during infection of the respiratory tract and to define protective responses in addition to showing how the immune system can overreact and cause damage. Common cold viruses are among the most important human pathogens, causing morbidity and mortality at every stage of life from infancy through to old age. The respiratory mucous membrane extends from the nose down to the lungs, and is extraordinarily well-provided with multi-layered immune defences. Despite years of study, there is much that remains to be known. The application of modern immunological techniques and concepts provides exciting and rich opportunities to find answers to fundamental questions and problems: what happens in the very earliest stages of viral invasion? How does age affect viral recognition? How does the balance of different immune responses achieve optimal protection, and how can we use this information to make better vaccines? How can the immune system protect without causing immuno­pathology, and how can we use this knowledge to come up with new treatments? We have deep expertise in the study of mice infected with RSV or influenza virus, which permits detailed investigation of the host and viral factors that determine pathogenicity. We co-ordinated the Mechanisms of Severe Acute Influenza Consortium (MOSAIC) to study severe influenza in naturally infected patients and we also experimentally infect volunteers with RSV and influenza virus. We are part of the PREPARE consortium to anticipate and prevent European outbreaks of infectious disease and a Francis Crick Institute Satellite group. We are also investigating the immunogenicity of mucosal vaccines as part of a Wellcome Trust Translational Award. Our contributions to this field span every stage of the immunobiology of respiratory infection. IgA is important in preventing viral binding to the respiratory mucosa, and interferons (important anti-viral cytokines) are pivotal in the initial stages of defence. Thereafter, natural killer (NK) cells and mucosal resident T cells play a major part and in the closing phases of infection specific T cells (especially cytotoxic CD8+ T cells) have a dominant role. We established the St. Mary's Flow Cytometry Core Facility that now runs under our supervision, and the Imperial College Respiratory Research Unit (ICRRU) that conducts clinical studies, mainly of volunteers infected with RSV, influenza virus or rhinovirus. This unit is directed by Dr Trevor Hansel, supported by Dr Patrick Mallia and is funded by the Respiratory Biomedical Research Centre (BRC). ICRRU has developed nasosorption and bronchosorption as novel non-invasive techniques for sampling mucosal lining fluids for detection of cytokines, chemokines and other inflammatory mediators after natural or deliberate infection. We also co-ordinate the infection theme of Imperial College Health Care Trust (ICHT) BRC. The RespiSam project is performing nasosorption/tracheosorption and bronchosorption in a range of respiratory diseases: pulmonary fibrosis, sarcoidosis, tuberculosis, asthma and COPD. We are also studying severe RSV bronchiolitis in ventilated babies, comparing blood immune responses with those in nasal and bronchial mucosae. Alveolar macrophages are the gate-keepers of the lower airways. We are studying their functions during homeostasis and viral infections. The effect of age on severity of RSV disease. We are studying severe RSV bronchiolitis in ventilated babies, comparing blood immune responses with those in nasal and bronchial mucosae. 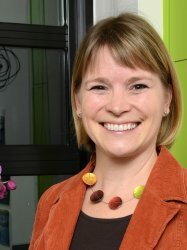 Dr Cecilia Johansson is co-ordinating the Imperial CREST Academy to support scientific mentoring of high school students undertaking British Science Association CREST Awards. BIOVISION 2015 - Peter Openshaw, "Models for Customized Approaches"